Various economic theories deal with the question of how economic value can be created by the production of goods and services that are useful and valuable to people. With value creation comes the question as to how the producers can capture that created value as income, rather than letting others disproportionately benefit. If that is not possible, value creation cannot be sustained. Therefore, in business we see that value creation and value capture in one way or the other (depending on the business case) go hand in hand. However, the concept of sustainability points to a different situation where private economic value is appropriated without taking the social costs of production and consumption fully into account. That implies that economic value that companies create may go together with serious disvalue for others (in terms of health hazards, poverty traps and ecological damage). As such unsustainable value creation is still taking place at a large scale despite worldwide policies to reverse this gloomy perspective, more than ever before it is time to promote corporate sustainability and value creation that is all-inclusive, fair and future proof. This requires real entrepreneurship focused on technical and social innovations which stop the plundering of the earth and stop the use of the earth of as a sink for polluting substances. Fortunately, there are manifold technological opportunities which entrepreneurs can developed into really sustainable solutions for essential problems. These three factors belong together although it is understood that not all business people start moving for the same reasons. Some have strong personal values and convictions which get things rolling. Others need to feel strong external pressures that set them into motion, while a third category is primarily motivated by evidential business opportunities. Knowledge plays a major role, and therefore education. 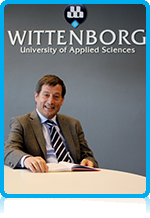 Wittenborg University and its research centre could play a role in widening the range of vision for entrepreneurs and managers. It is essential to prevent business that is based on a narrowly viewed business environment by arousing an interest in the wider ecological and social environments. My book is meant to contribute to that and to offer practical support to managers and controllers to turn innovative ideas into practice. The right knowledge should of course go together with new ways in inclusive thinking. This may be hard to accomplish given a few centuries of reductionist thinking and acting. This reminds me of a project in Kenya I was involved in some years ago. It was about a horticulture project (small-scale farmers producing French beans, baby corn and similar products). In one area the farmers had their farms close to a river where a group of hippos were living. These animals have the unkind habit of leaving the river once in a while to eat grass and other plants. Therefore, the hippos were a threat to the farms. Talking about sustainable food production, the question arose: how can we solve this problem? One of the local consultants came up with an “ingenious” solution: let’s shoot the hippos. As project officers we were horrified but we laughed as well. After all, the proposed solution belongs to the kind of solutions that originates from a Western style of thinking. However, inclusive thinking – that is what is needed instead – also includes the hippos and their habitat. The book gives various suggestions and tools as to how to implement corporate sustainability. For instance, it pays attention to how sustainability can be part of a company’s strategies, how CFOs and controllers can contribute to a sustainable company, how sustainability can be part of a company’s supply chains. 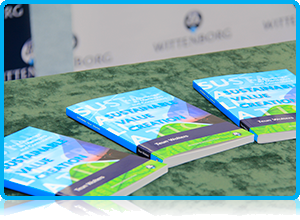 The book also discusses how environmental management and accounting can serve the cause of sustainable value creation. The book can play a role in launching practical research together with companies and local governments. I am open for suggestions in this area from anyone who is interested. At the moment Wittenborg’s research centre is active in setting up research in the area decentralised and renewable energy (within the framework of an EU project) and research in the area of the health and care sector. Also, the book will be part of Wittenborg’s curriculum so that our students will be armed with the right knowledge and value orientation to be managers of tomorrow. The hippo story is not in the book, but it contains many other examples instead. I am looking forward to your responses. I shall be glad to hear from. Thank you.